Search for Properties in Cape Coral, FL - Fort Myers FL - Southwest Florida - Discover Your Southwest Florida Dream Home! Call Penny Lehmann at 239-462-8171 Your Local Real Estate Waterfront Expert Connection"
Find your home in SW Florida! Browse Nearby Properties in Southwest Florida! Searching for a New Home in Southwest Florida? Welcome to Penny Lehmann's premier real estate website serving Southwest Florida and the surrounding areas, Cape Coral, Pine Island, Fort Myers, Ft Myers Beach, Sanibel, Captiva, Bonita Springs, Estero & Naples Florida. Are you thinking of buying a home in the Cape Coral - Fort Myers or Southwest Florida area? Finding the right home can be a difficult process but no matter what you are looking for as an experienced Cape Coral - Fort Myers and surrounding area Southwest Florida real estate agent and Realtor®. I can provide you with the resources you need to make the home buying process simpler, from specific Cape Coral - Fort Myers or Southwest Florida area neighborhood information, to tools to estimate your mortgage payments, and buyer resources and articles that will help you through the home buying process. Thinking about selling real estate in the in the Cape Coral - Fort Myers or Southwest Florida area? No matter which market you're in, you can use the marketing programs and experience of a qualified Cape Coral - Fort Myers - SWFL areas real estate agent and Realtor® like me to help sell your home quickly and at the right price. Learn more about my service, see information about recent home sales in Cape Coral - Fort Myers - SWFL, or contact me to get started today! Are you interested in more Cape Coral - Fort Myers or Southwest Florida area details? Please take a minute and browse my local neighborhood and school details, real estate mortgage information and interactive maps for the Cape Coral - Fort Myers and the surrounding SWFL markets. Thank you for visiting www.capecoralfloridawaterfrontexpert.com! This is a one-stop real estate website for all your home buying and selling needs in Cape Coral - Fort Myers SWFL area. I’m a professional real estate agent and Realtor® who works ethically and will help make your search for a new home an enjoyable experience. Are you are looking for a Cape Coral - Fort Myers or Southwest Florida waterfront expert? 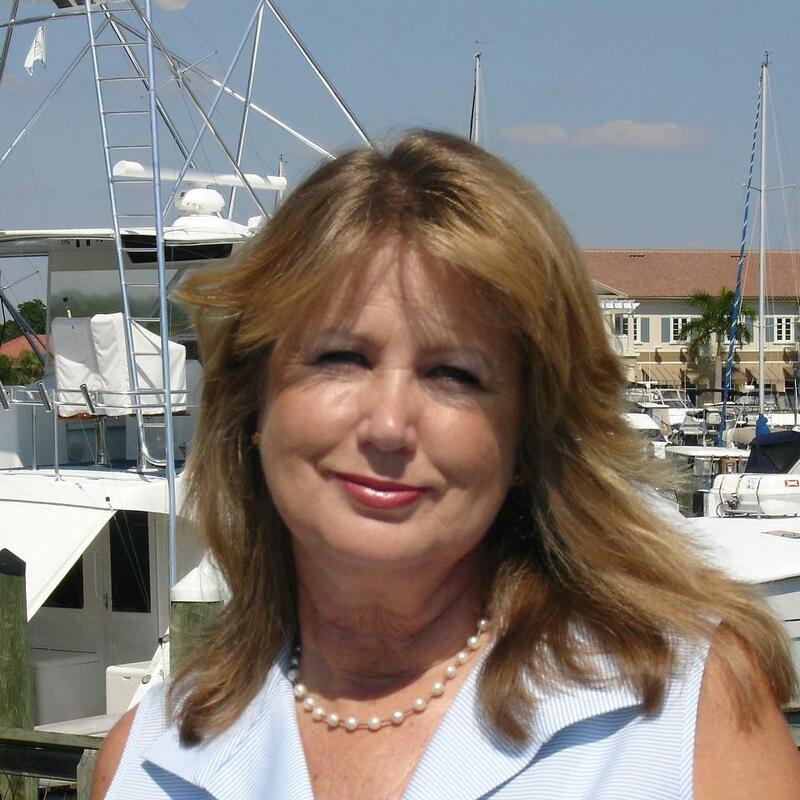 Penny Lehmann, her specialty is selling waterfront luxury homes in Cape Coral - Fort Myers - Fort Myers Beach - Estero - Bonita Springs - Naples and the surrounding areas all within beautiful Southwest Florida. If you are a boater looking for a Realtor® who is a boater and knows the canals systems, waterways, bridges and navigation to meet your boating needs, call Penny as your trusted source! Penny works harder and smarter by achieving your goals in matching buyers to sellers properties for your needs! Penny will share her local knowledge of the waters, fish and marine life to you within Southwest Florida. Penny moved to Cape Coral in 1985 for the warm weather and love of the water.. please read more on the About Us page link. Penny Lehmann, Realtor at Coldwell Banker specializes in listing and selling waterfront luxury estate homes for sale in Cape Coral - Fort Myers and the surrounding SW Florida areas. In Penny's down time aside for her passion in selling real estate, she enjoys getting out on their Boston Whaler and scuba diving the Gulf of Mexico and loves taking pictures of marine life with her underwater camera. Penny will dive in and find your treasures in a deep search locating the best of the best in a beautiful home. Please feel free to contact me directly by phone or text at Tel: 239-462-8171, email: penny_lehmann@hotmail.com if you have any questions about the Cape Coral - Fort Myers or Southwest Florida real estate market, or buying or selling a home in Cape Coral - Fort Myers or Southwest Florida. I encourage you to check out my website for local neighborhood and school details, mortgage information, interactive maps,listings of properties of homes for sale, plus many more features. Thank you for finding me! It will be a pleasure to help you! Contact us at 239-462-8171 if you'd like more information on finding your dream home or preparing to sell your home. Penny Lehmann, Realtor® at Coldwell Banker specialize's in waterfront luxury realestate homes for sale in Cape Coral - Fort Myers and the surrounding SW Florida areas.